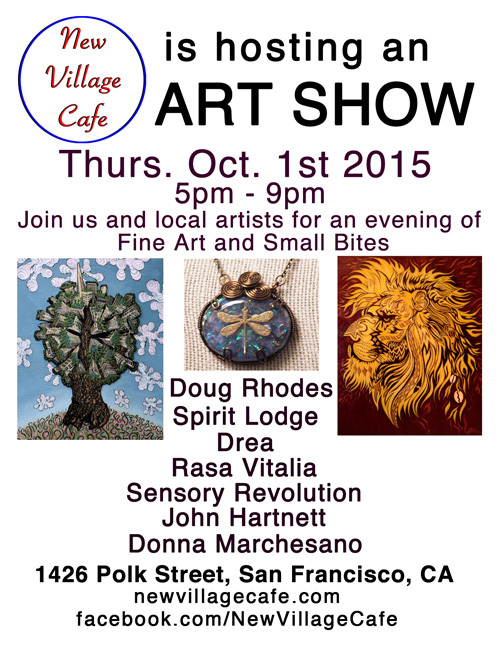 Am involved in an art show at New Village Cafe. One of my favorite places to be in my neighborhood. My friends have done a beautiful job keeping this cafe alive with some yummy creative eats on the menu. This will be their first official art show. Will be bringing my paintings as well as Voodoo Kittys. Support local artists and our local restaurant! Free to attend, all are welcome. Have been participating in this event. A gathering of community organizers, artists, musicians, vendors and neighbors. 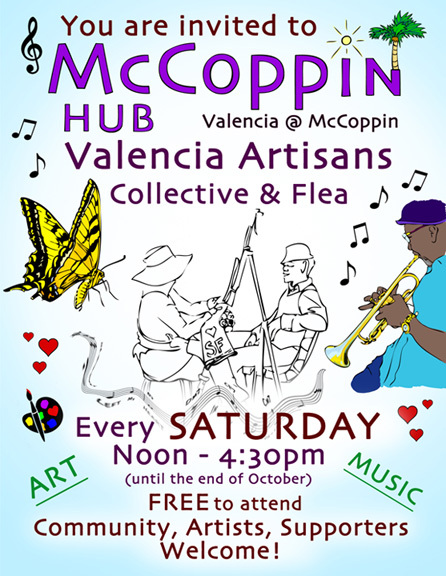 We are an open market with no fees and invite the community to enjoy the plaza, support and share creative endeavors. I made this flyer to share the news, it’s a wonderful place to gather. Just Love Block Party hosted by The African Outlet. 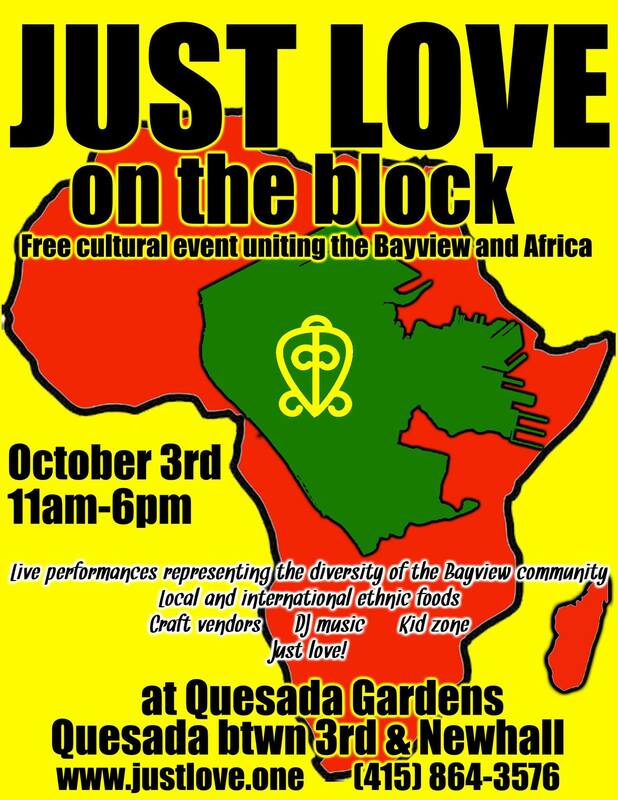 The African Outlet’s new location at 4942 3rd Street in the Bayview district of San Francisco, CA is officially all set up and hosting a block party on Saturday October 3rd 2015. Come on down, support their amazing new set-up and enjoy community gathering in celebration. I am definitely going to be there!